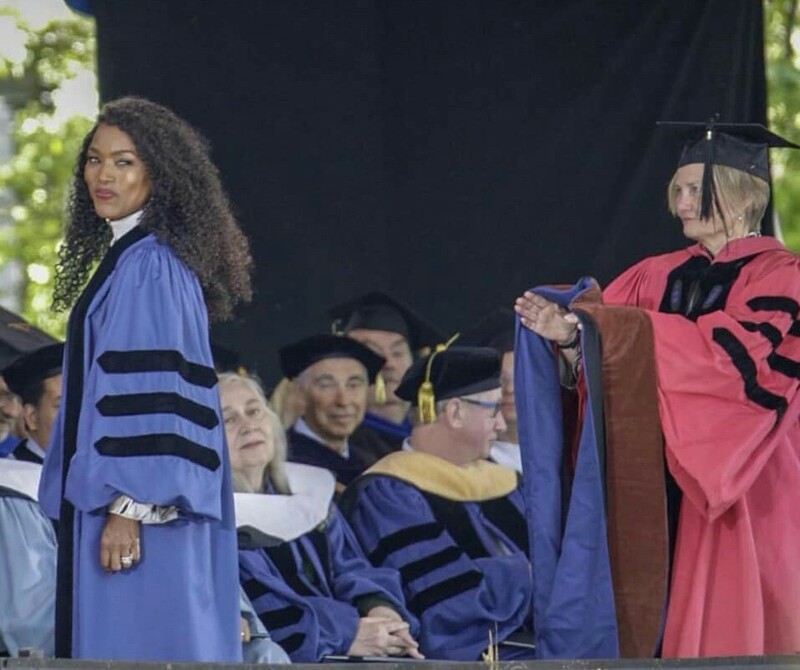 American actress and activist, Angela Evelyn Bassett has just received an honorary doctorate degree from Yale university. She is best known for her film roles, most notably her performance as Tina Turner in the biopic What’s Love Got to Do with It, for which she was nominated for the Academy Award for Best Actress and won a corresponding Golden Globe Award. In 2013, she had a recurring role on the FX horror series American Horror Story.Bassett is a supporter of programs for the arts, especially for youth. She is an active Ambassador of UNICEF for the United States. In early 2007, Bassett donated $2,300 to the presidential campaign of Barack Obama. Bassett supported Obama in his re-election campaign. 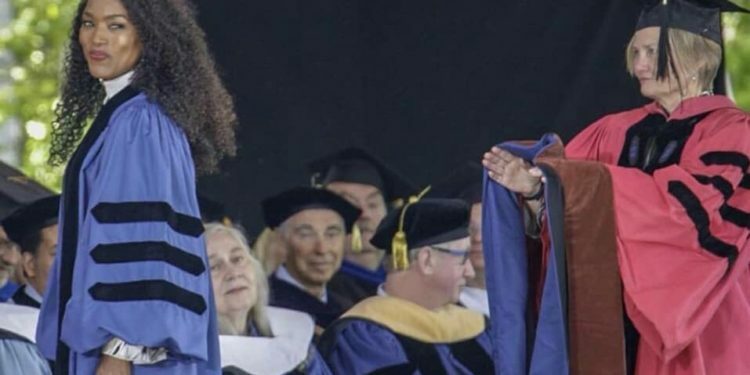 The actress is one of the ten honorees receiving a degree from the university. Neil deGrasse Tyson, Elizabeth Alexander, and Willie Ruff are just a few of the honorees.